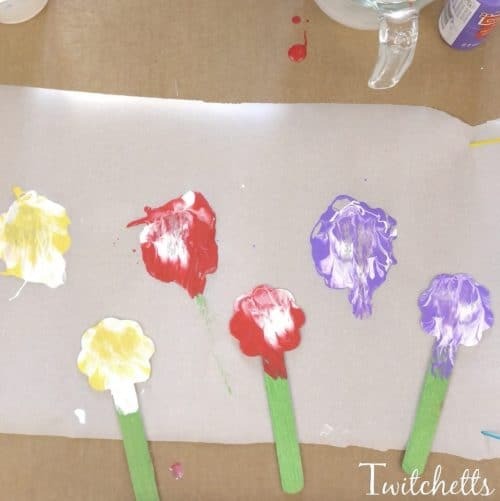 These press painted flowers are an amazing creative painting idea that will create a beautiful, one of a kind, art projects that your child will be proud of. We impulse bought a pack of wooden bookmarks a while back. There were assorted shapes at the top of each one of them. We created hearts using this same technique and they turned out gorgeous. My daughter had so much fun making them we decided to do the same with the flowers in the pack. I have to say these might just be my favorite! 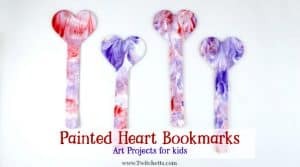 Wooden Bookmarks. ***Unfortunately since creating the post they do not include the flowers in their assortment!! 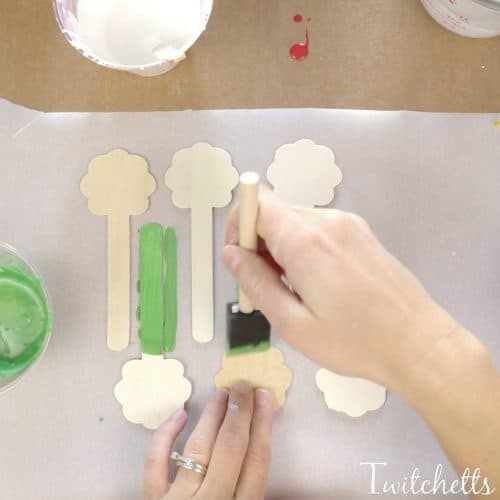 For a quick substitution, you can paint green craft sticks, then glue on these wooden flowers! Acrylic Paint. Colors for your petals and a green for the stem. 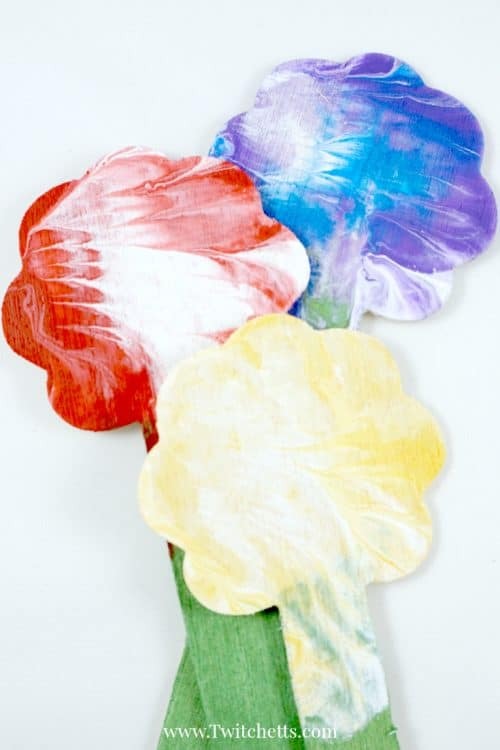 How to creatively paint wooden flowers. 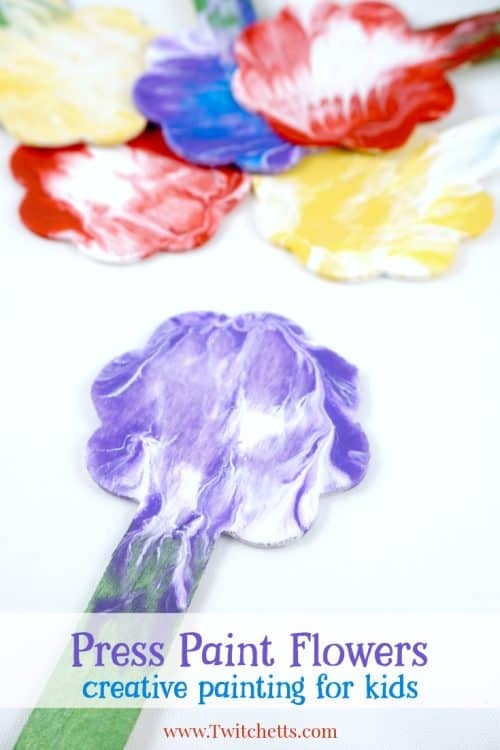 Check out the step by step instructions for our press painted flowers. Then see it all in action in the video below. 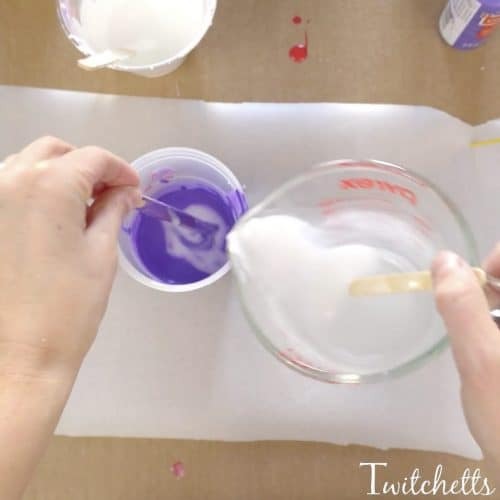 We started mixing our paints with an easy to make thickening agent. 2 parts white glue to 1 part water. 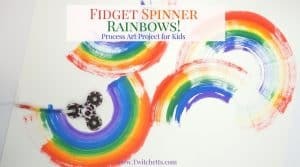 It works great for projects that you need the paint to flow a bit more without it getting too watery and mixing really fast. 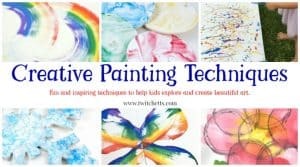 This is the same method we use when we do our pour painting projects with kids. 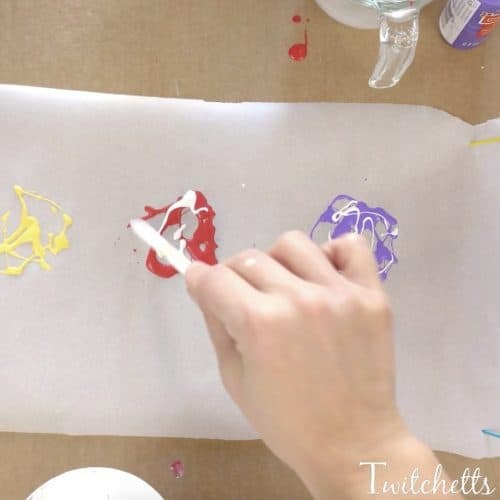 Just mix your thickening agent, half and half with the paints you will use for your petals. You don’t need to add anything to the green paint. 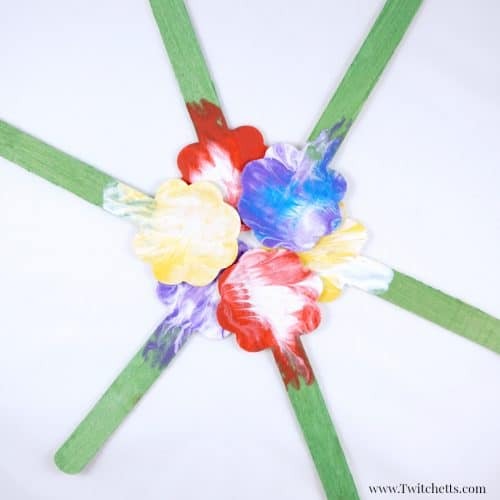 Start by painting the stick, or stem, of each flower green. 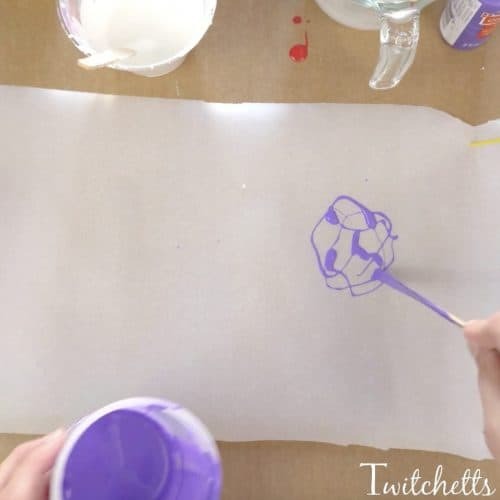 Lay down some parchment paper and start dripping your petal colors in small circle areas. You want to do at least 2 colors per flower. This way they mix together to create an awesome effect, that looks like it took much longer than it did. 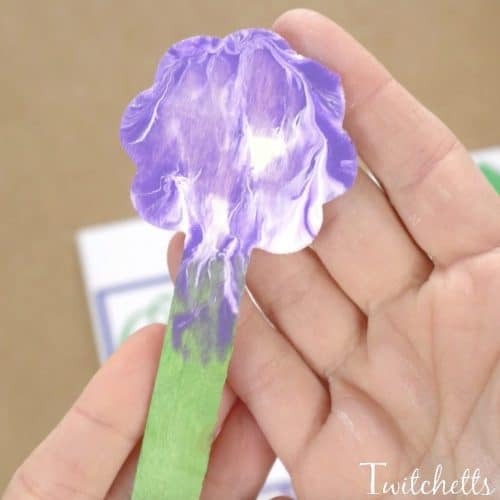 Next, press your flower right into the circle of paint. Pick up and press down as many times as you need until the whole flower shape is covered. Then lay on a piece of parchment paper to dry! 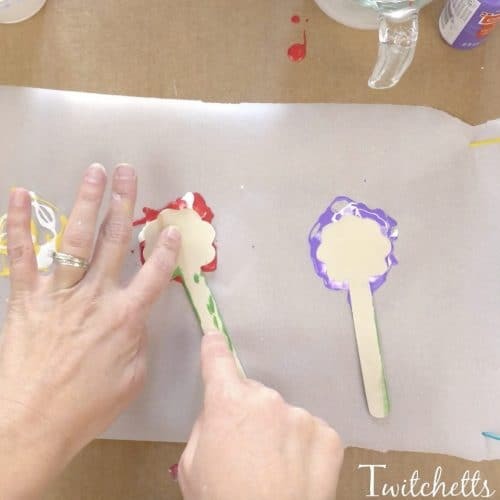 Watch just how easy these painted flowers are to make in this quick video! Just like in nature, no two flowers will look alike! And everyone will love receiving one of these beautiful creations! 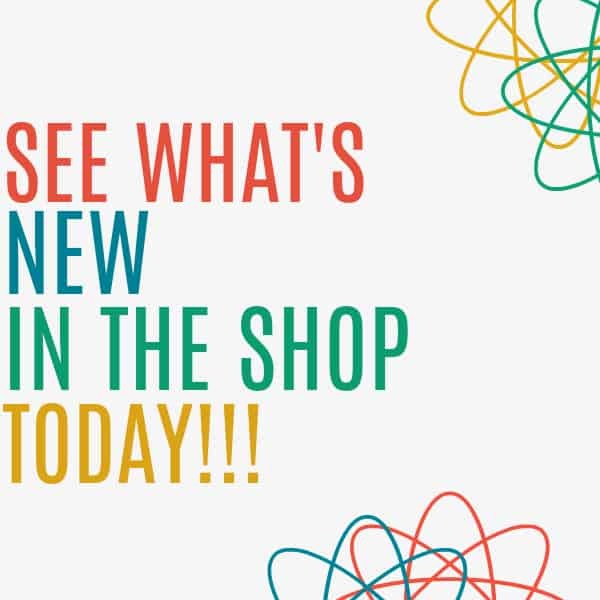 Pin this to your favorite Pinterest board! 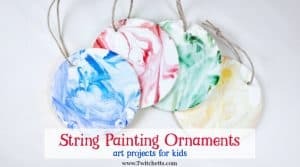 If you enjoyed this creative painting process, you’ll love these!